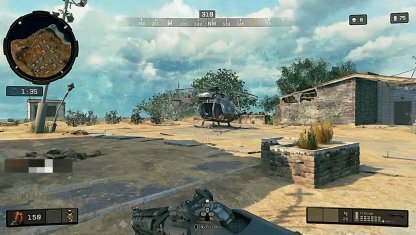 Learn the layout of the Blackout map in Call of Duty: Black Ops 4! Gain the advantage of knowing the map to gain the benefits of strong and rare weapons, vehicles, and more! 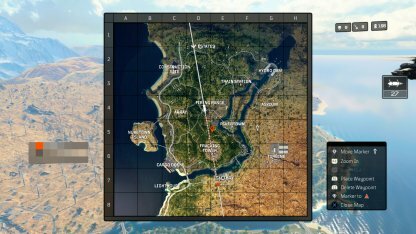 The Blackout Mode map is huge. It may be easy to get lost in it with all the locations put into it. Knowing the map's layout and points of interest will help you gain an advantage over enemies who don't have a good grasp yet. 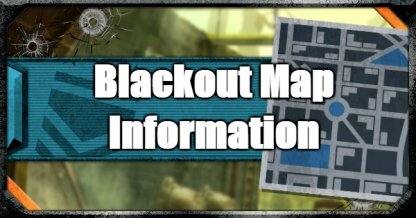 Learn the small details of the map like choke points, hiding spots, and more areas that can give you an advantage in combat! 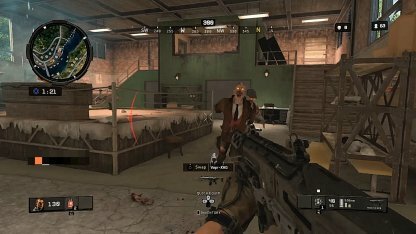 Points of interest will give you benefits in the Blackout Mode. These include strong and rare weapons, vehicles, and more! Zombie spawn locations are areas where you will encounter AI-controlled zombie enemies. Killing these zombies may reward you with a special item that you can use in Blackout! The image above shows the different possible zombie spawn locations. Note that these locations will not automatically spawn zombies. Keep an eye out for a blue light in that area, signalling that zombies have spawned there. However, once you venture into this area, make sure that you are well-equipped for the following reasons. Some of the Zombie spawns in that area may prove to be difficult to bring down. Other than having unique attacks, others possess a huge health pool that may eat up all of your bullets! Always remember that you may not be the only person who thought of visiting the Zombie area. Stay alert for any other players who may have visited the area as well. Helicopters are a very useful vehicle in the game. They will help you traverse the map more quickly, and give you an immediate height advantage over enemy players! The image above shows the different locations where a helicopter may spawn in the map. Note however, that helicopters do not spawn all the time, so if you there is no helicopter there, better luck next time! Because of the size of the map, you may be thinking which area besides the zombie area, will give you the best weapons possible in the game? There are quite a few locations you can choose to visit to get good weapons! The locations encircled above have been chosen because of the number of good weapons that spawn there. 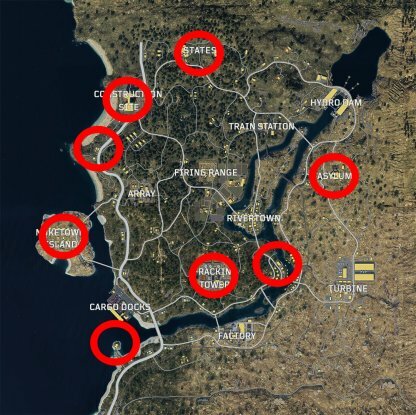 There are also Zombie spawn locations encircled above since they may drop rare, and unique items! Good weapons can give you a big advantage in combat. 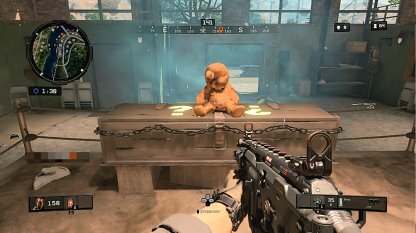 Great weapons in Blackout Mode can help you pick off enemies from a distance, or maybe make quick work of enemies up close in the late game! Remember that other people may decide to land where you are going. Get to the ground first to start shooting at enemies with no guns yet!